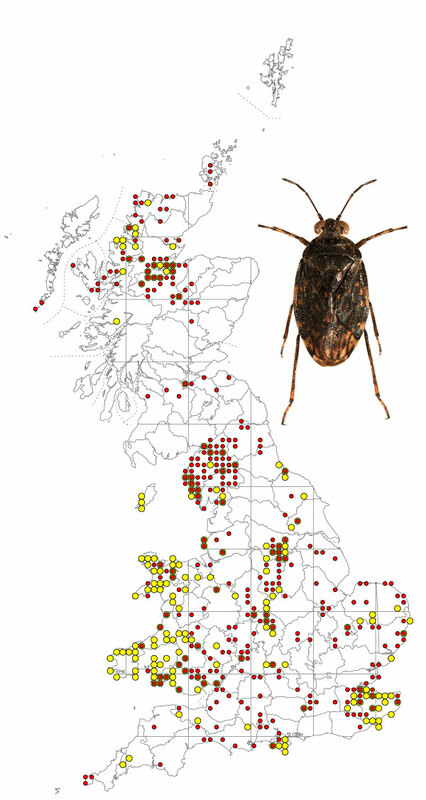 Saldula saltatoria is the commonest British shorebug, occurring on the muddy margins of ponds, lakes and slow streams. Adults overwinter in vegetation, often grass tussocks, near water but will become active on warm days in winter. The bug mates in the spring and eggs are deposited in firm mud or suitable sites in low vegetation. Larval development is fairly rapid and the adults of the new generation appear by July and may produce a second generation, although this is uncertain. S. saltatoria is predacious, probably feeding on wide range of small invertebrates including its own species.